Well I hope you have all had a good break, or are about to have one. I don’t know what it’s like in the US and when your holiday periods are. I guess the big difference between the US and Europe is that most people get around 4 weeks paid holiday in Europe. Taking the Tesla from the south coast of England all the way to Dundee, and back again, has been a lot of fun and a great way to test what the car is really like. 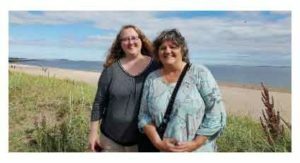 Dundee, by the way, is not only where Kathy lives, but she also has Angela, one of my support staff from the US, staying with her. So, to get back to the holiday theme, Angela is on her holidays seeing the sights of Scotland !! And that was why I went so far north – 550 miles north – in case you were wondering…. Just to meet Angela and say “Hi” to one of the team. For those of you who are interested.. Dundee is also the home of marmalade and Dundee cake. Handing the Tesla back and going back to the Evoque was a bit of a wrench to be honest. I miss the fantastic acceleration of the Tesla, you just put your foot down and it accelerates away at about Warp Factor 10 !! The Evoque accelerates at about the speed of a snail and I am afraid to admit I might have scared a few drivers when pulling out in front of them in the Evoque this morning !! Before handing the car back I had a look around a Tesla showroom in Crawley with Dave. Big decision now… Should I get a Tesla model S now or wait for the model 3 ? Look I am sorry to go on about this.. But I just don’t get why people seem to be not interested in building their own list. It was having a list that gave me the money to hire the Tesla and visit my team. It was having the list that enabled me to make money while on my holiday road trip. I made money on my wedding day- by having a mailing list ! 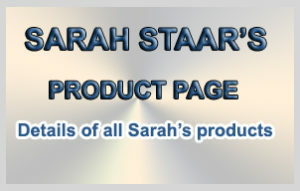 I more than paid for the first Internet Marketers cruise I went on – a holiday cruise around the Caribbean – because I had a list..
As you know I made money while on my hospital bed – because of my list. I have a surprise feature for you this evening ! Right now it’s the regular Olympics going on in RIO. And haven’t the Brits done well !! 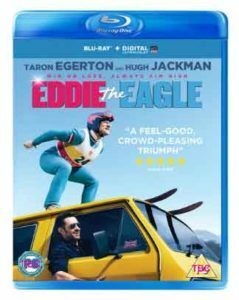 Inspired by true events, Eddie the Eagle is a feel-good story about Michael “Eddie” Edwards , an unlikely but courageous, and talentless, British ski-jumper who never stopped believing in himself – even as an entire nation was counting him out. I’m a strong Believer in never giving up. If you want something badly enough you can get it. And that’s what this film is all about. So a bit of holiday inspiration for you.. While on the road this week I listened to several audio books (that’s what autopilot is really for !) the one that really stood out was “Black Box Thinking”. Fascinating thing about this book is it kind of sums up why some people fail at Internet marketing whilst others succeed. You have to read this yourself, but in essence it’s about fixing things and going onto success. What links the Mercedes Formula One team with Google? What links Dave Braisford’s Team Sky and the aviation industry? What is the connection between the inventor James Dyson and the footballer David Beckham? They are all Black Box Thinkers. Whether developing a new product, honing a core skill or just trying to get a critical decision right, Black Box Thinkers aren’t afraid to face up to mistakes. In fact they see failure as the very best way to learn. Rather than denying their mistakes, blaming others or attempting to spin their way out of trouble, these institutions and individuals interrogate errors as part of their future strategy for success. One of the best books I’ve read for a long time – definitely recommended.